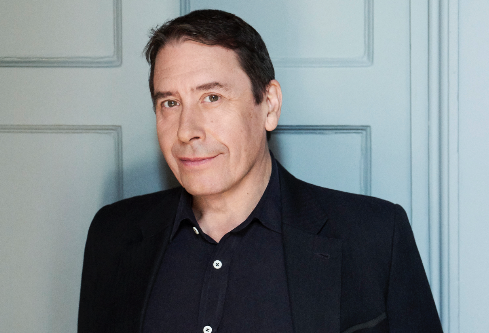 Musical virtuoso Jools Holland and his distinguished Rhythm & Blues Orchestra have announced dates and special guests for their well-renowned autumn/winter UK tour for 2019. Tickets go on general sale this Friday 1 February at 10am. Highlights of the 32-date tour, now in its 23rd year, include two performances at London's Royal Albert Hall on 15 and 16 November, Bournemouth's Windsor Hall on 13 December along with arena shows in Cardiff's Motorpoint Arena on 21 December, Peterborough's East Of England Arena on 26 October and Manchester 02 Apollo on Sunday 22nd of December. Additional special guests will be BRIT Award winner Eddi Reader from 24 October – 23 November, as well as Pauline Black and Arthur 'Gaps' Hendrickson from the legendary ska band The Selecter from 28 November – 22 December. Eddi will join Pauline and Gaps as a special guest in her hometown of Glasgow for the SEC Armadillo shows on 6 and 7 December. Jools has previously described Eddi Reader as, "one of (his) favourite singers of all time." Jools and Eddi have been collaborating musically for more than 20 years, with highlights that include their single Waiting Game, which Jools co-wrote with Chris Difford, as well as featuring in the 2009 Richard Linklater film Me and Orson Welles and also the soundtrack. Eddi also famously harmonised with Annie Lennox whilst touring with the Eurythmics as well as leading vocals in the band Fairground Attraction, reaching the top of the UK charts in 1988 with the single Perfect. The Selecter, featuring Pauline Black and Arthur 'Gaps' Hendrickson, are celebrating the band's 40th anniversary with an extended European/UK tour that will see them on the road for most of 2019. Now also joining Jools and the Orchestra on the road, they will be entertaining audiences throughout the country with their energetic live performances, which include the show stoppers On My Radio, Train To Skaville and Too Much Pressure. Previous special guests who have performed with Jools on his UK tours include the likes of Lulu, Joss Stone, Roland Gift, Melanie C and most recently Marc Almond who released a joint album with Jools in November 2018, 'A Lovely Life To Live'. With a tremendous collection of Jools tunes and other boogie-woogie classics to choose from, Jools' UK tour is set to be an unforgettable night out that will have audiences on their feet!